Dóci papiaçam di Macau? The sweet language of Macau? Christina has just found her favourite sauce. She plunges her spoon into the thick, ochre-coloured mess, garnished with black olives and bearing the crispy marks of time spent simmering in an oven. We are seated in a small restaurant, just around the corner from Macau’s cathedral, the Sé. 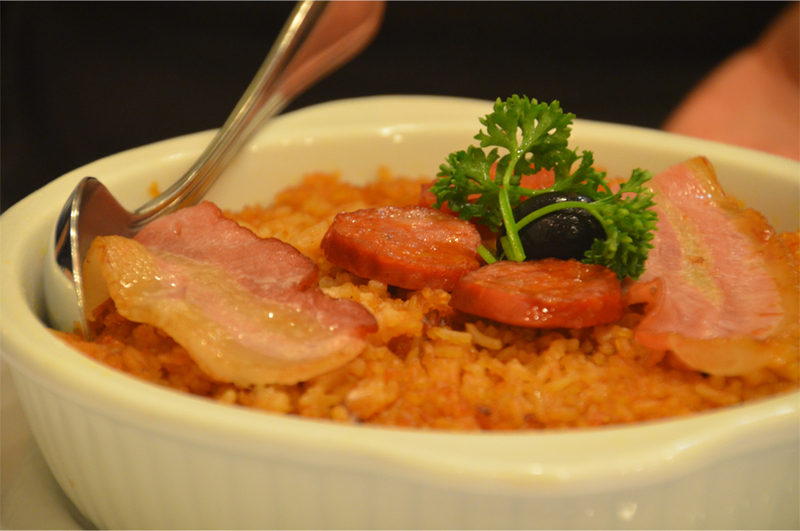 Spread on the table before us is a feast of baked duck rice, salted cod, and Galinha à Africana (‘African Chicken’), a staple of Macanese restaurants around the territory. Galinha à Africana reflects the maritime trade routes once plied by the Portuguese, with flavours spanning three continents and both sides of the Indian Ocean. Among the list of ingredients, it features smoked paprika (Portugal), five-spice (China), ground peanuts (Malaysia and Indonesia), coconut milk (India), and African bird’s eye chilli. 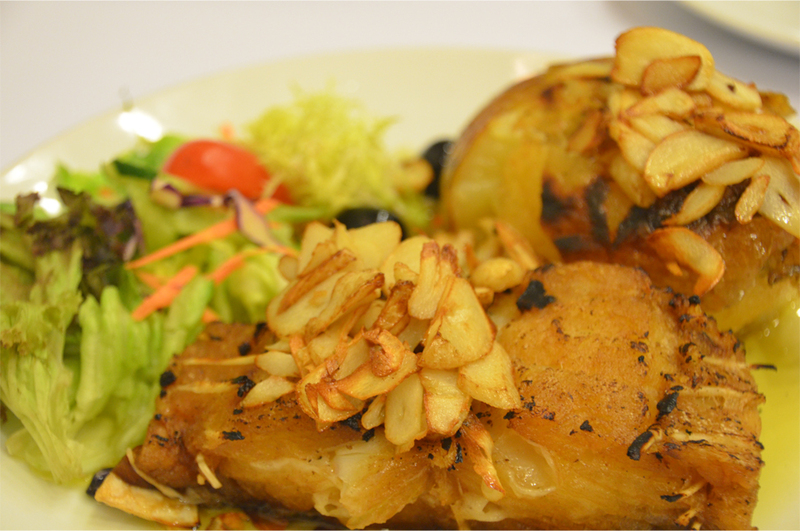 Created in the 1940s by a hotel chef named Americo Angelo, it’s a nod to frango grelhado piri-piri, a spicy grilled chicken dish native to Angola and Mozambique. 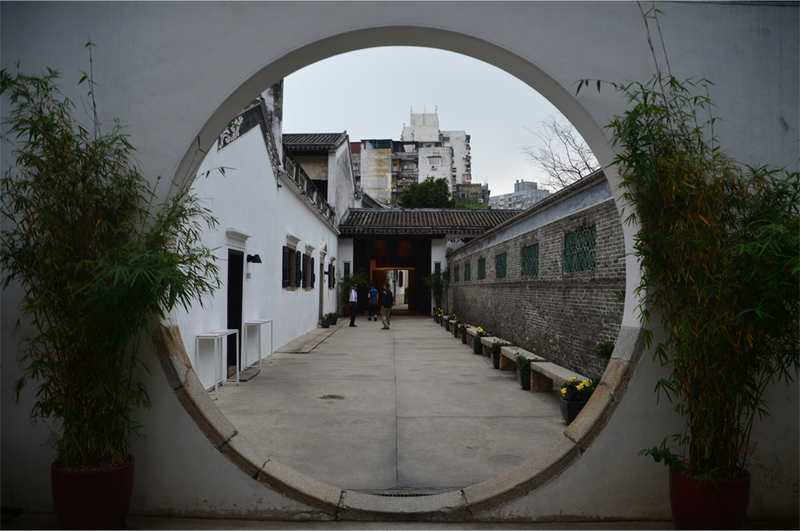 As the first European colony in China, Macau was a crossroads of international trade centuries before neighbouring Hong Kong came into being. In its heyday Portuguese carracks from Malacca, Goa and Nagasaki unloaded their wares along the inner harbour, while Chinese junks carried silk, tea and porcelain down from Canton. Spanish vessels waited to load these luxury goods to Manila, where the precious cargo would embark on the long voyage to Acapulco in exchange for Mexican silver. 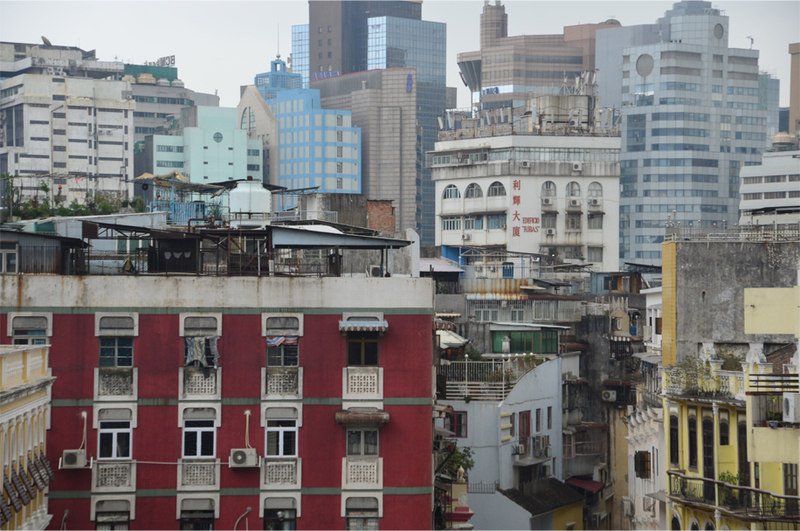 Macau today is not quite so romantic – the city is mostly a confusing hodgepodge of neon, glittering casinos, and ugly utilitarian structures blackened by the subtropical humidity. 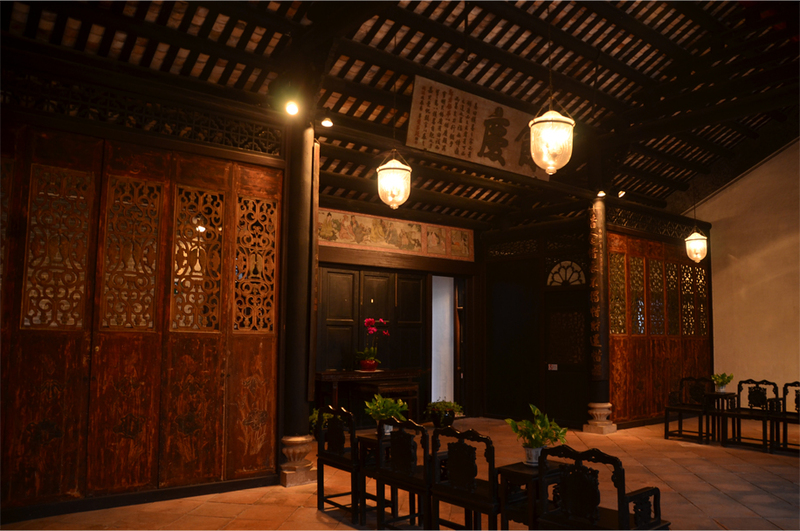 But dotted among the glass and concrete are beautiful examples of pastel-coloured colonial buildings, Portuguese churches, Chinese temples and 19th century mansions, now inscribed on UNESCO’s World Heritage List. 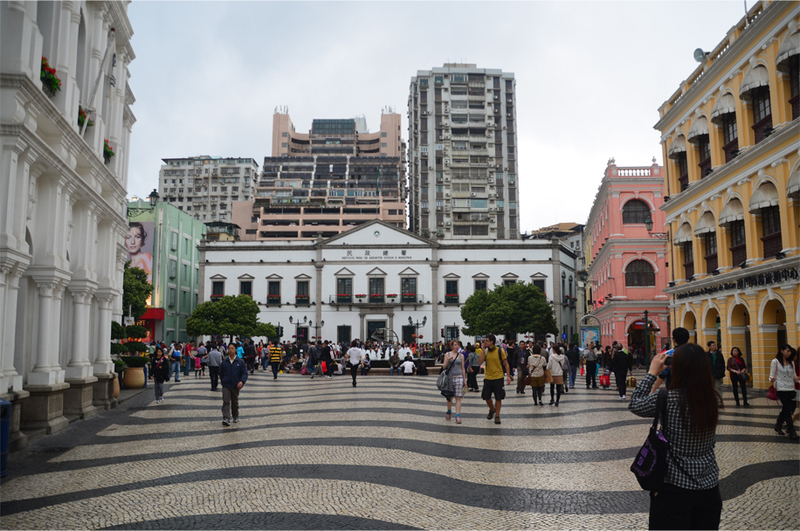 The usual starting point for any exploration of Macau is Largo do Senado, a central square paved in Portuguese tiles fronting the ‘Loyal Senate’. Once the seat of Macau’s colonial government, the body was so named for its refusal to recognise the sixty-year Iberian Union, when Spain ruled Portugal between 1580 and 1640. Eventually the crown was restored to the Portuguese House of Braganza, but it took two years for the news to reach Macau, where a ten-week celebration was held and gifts were dispatched to the new King João IV. He bequeathed the title Não Há Outra Mais Leal – “There is None More Loyal”, to the city as a reward, adding onto its existing name, Cidade do Santo Nome de Deus, “City of the Holy Name of God”. 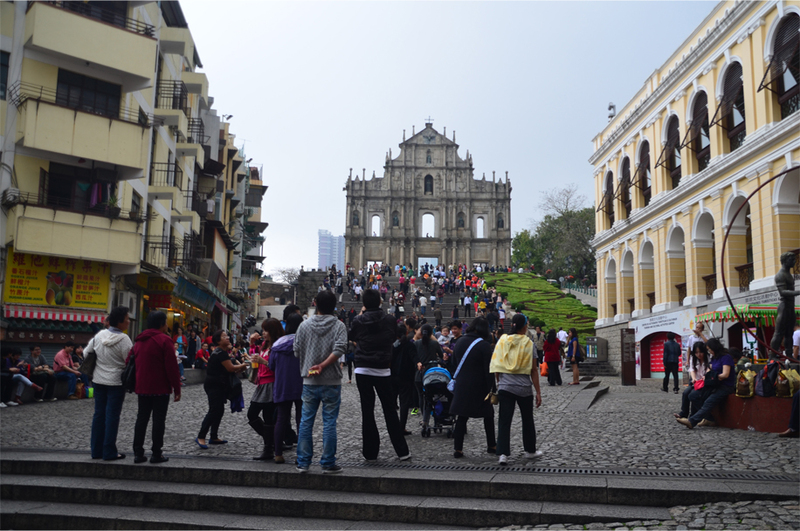 Macau, like Goa, was once a centre of Asian Catholicism, a haven for missionaries who used the city as a base to win new converts in China and Japan. Even though its stones are now dwarfed by apartments and glossy casinos, the city’s most recognisable landmark remains the Ruínas de São Paulo (1627) – the Ruins of St Paul’s. 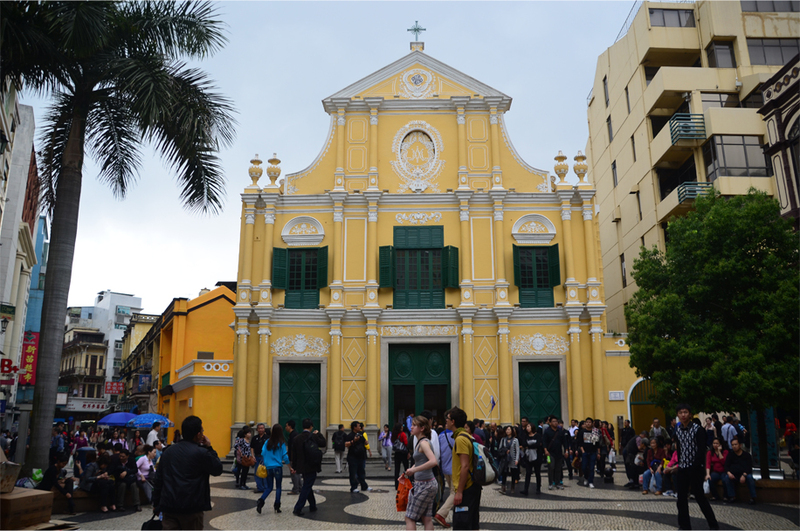 Once the largest Catholic church in East Asia, the structure was designed by an Italian Jesuit priest, built by local craftsmen and Macau’s Japanese residents, who were exiled from their homeland for embracing Christianity. 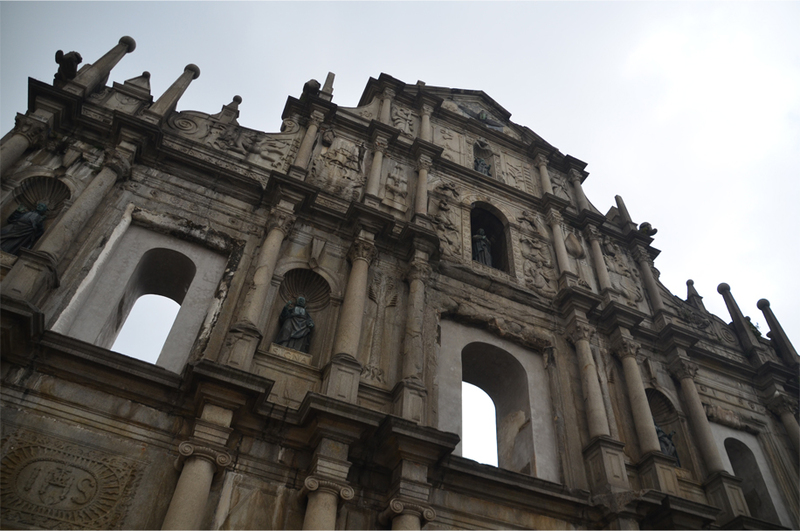 The famous stone façade is all that remains of the Baroque cathedral, which burned down in 1835 during a typhoon. 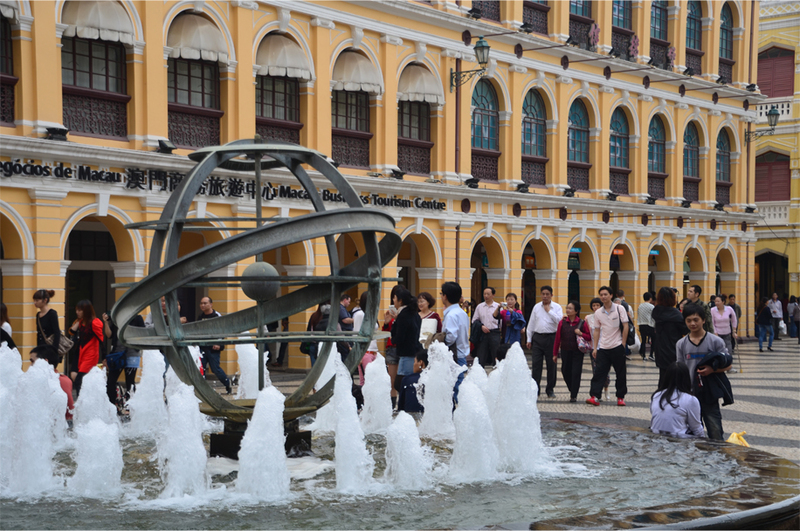 As it turns out, Macau’s heady mix of cultures was not only limited to its architecture and cuisine. 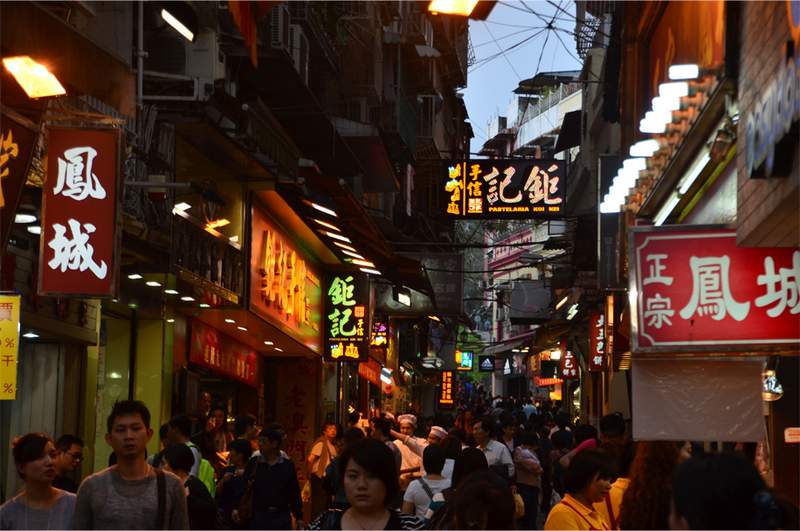 Generations of exchange and intermarriage also gave birth to a distinctive Portuguese-based creole, a melodic, fast-disappearing language known as Patuá or Doci Papiaçám di Macau, “the Sweet Dialect of Macau”. It combines medieval Portuguese expressions, Malay and Cantonese grammar, and a sprinkling of words from Sinhalese and the Indian subcontinent. India gave Macau “fula” (flower) and “lacassa” (vermicelli), while Cantonese loanwords include “amui” (girl), “laissi” (gift money) and “lapsap” (rubbish). 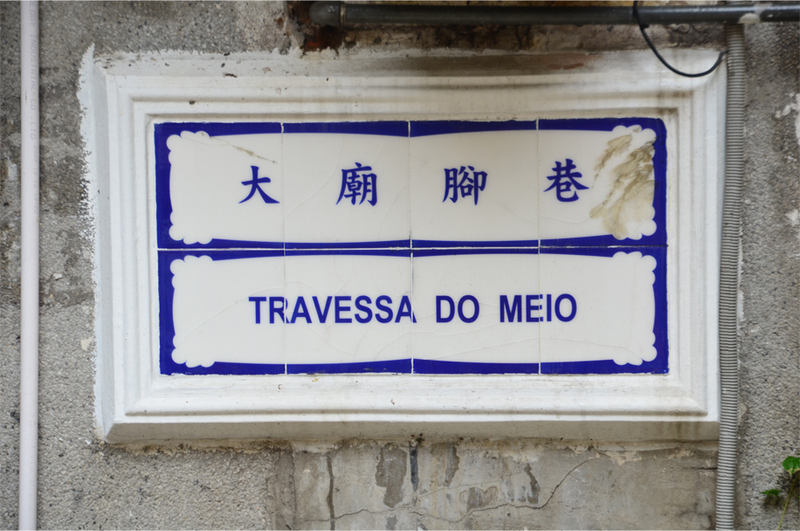 For the Portuguese expression saudade, describing an intense, melancholic longing with no equivalent in English, the Macanese use saiang, borrowed from Malay, like “copo-copo” (butterfly) and “nhonha” (lady). Also taken from Malay was the tendency to double-up words for emphasis and plurals, as in “casa-casa” (houses) and “cedo-cedo” (very early). This reflects Patuá’s strong links with the Kristang language of Malacca, and the now-extinct creoles of Flores and Timor. 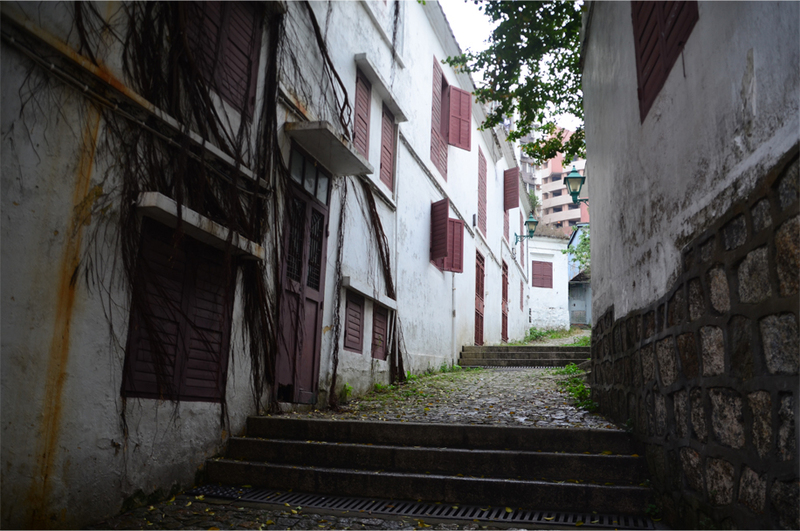 Sadly, few Macanese speakers remain in the enclave – most of the younger generation were encouraged to learn only Cantonese, Portuguese and English. Waves of large-scale emigration began in the 1950s, with many members of the Eurasian community relocating to Portugal, Brazil, the USA and other New World countries. Walking through the narrow streets, I can almost imagine the tones of Patuá being uttered by housewives chattering in the shade, or through the open windows over cups of Jasmine tea. 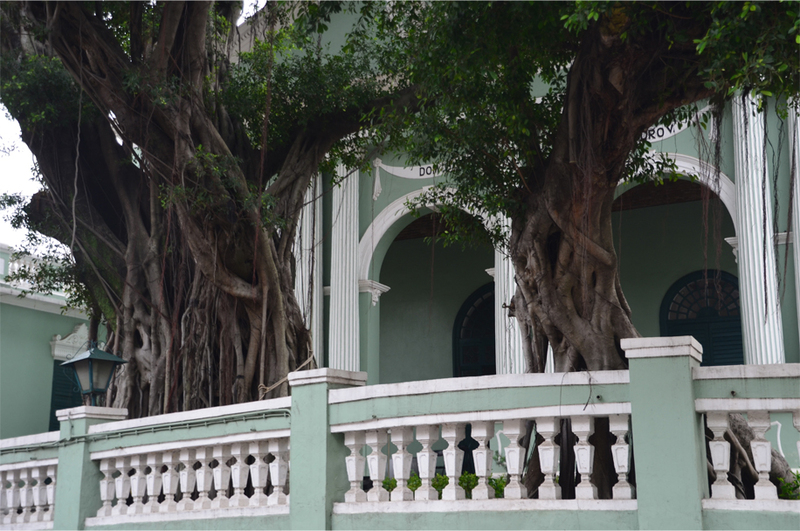 At the eastern end of Rua da Barra, far away from the crowds beneath the ruins of St. Paul’s, rests Largo do Lilau, a banyan-shaded square flanked by two-storey colonial and art deco structures. Lilau corresponds to one of the first areas settled by Portuguese residents, built around a source of spring water flowing down the hillside. 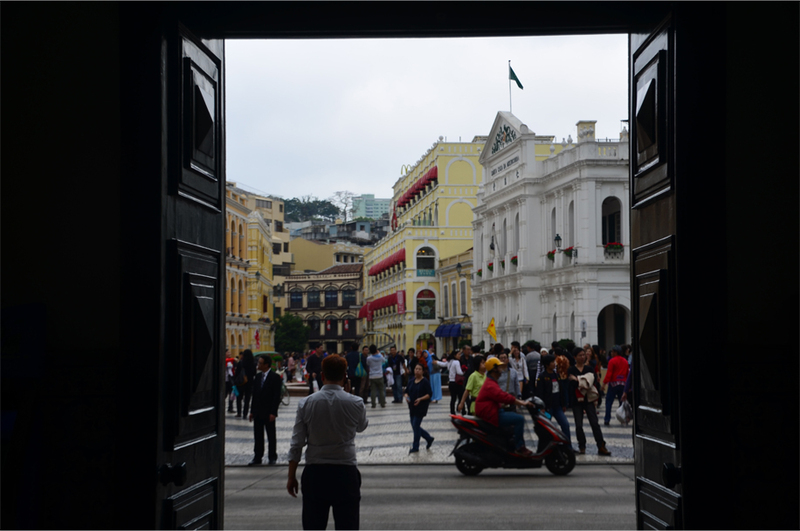 For years, the beloved square has featured prominently in the consciousness of Macanese poets and writers; a popular saying notes that “one who drinks from Lilau never forgets Macau”. Here, the sound of water draws me to the far side of the banyans, where it gently trickles from a granite wall. 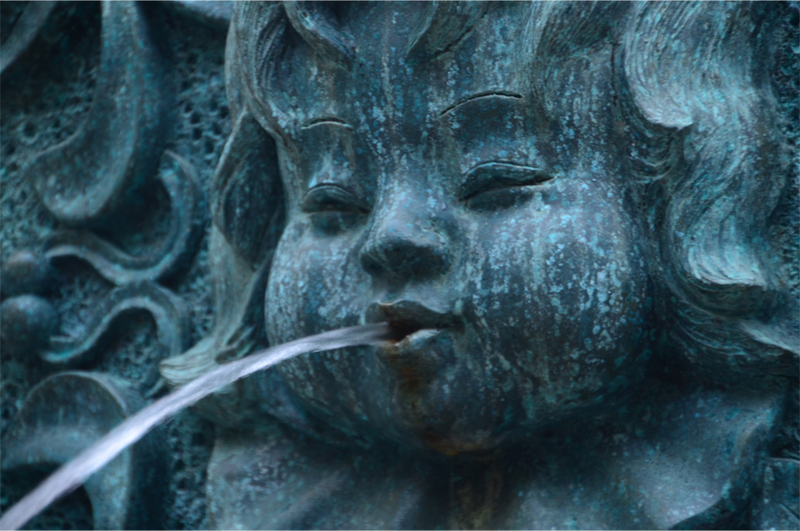 Lilau’s storied fountain, recently renovated, is now adorned with a face in bronze, her ambiguous features neither fully Asian nor European – much like Macau itself. I can imagine Patuá as a distinct local language so different from Portuguese, Malay, or Cantonese, yet so close to the heart of the older Macanese. It reminds me of a few local dialects in Java which are so different from one another. 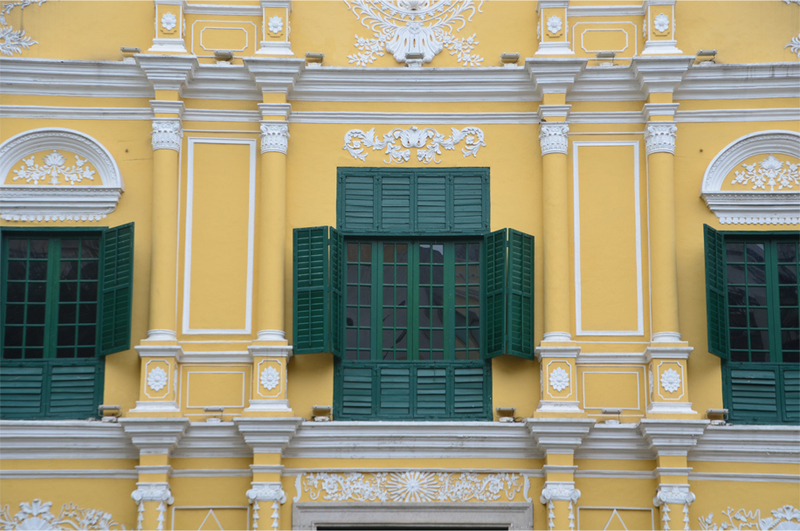 Hopefully enough effort is done to preserve the sweet language of Macau. Anyway, speaking of the food, I know I need to go back to Macau one day only for it – without any motion sickness for sure. There are efforts underway to rescue this endangered language… to my knowledge a well-known theatre group performs its work solely in Patuá, I’d love to see a performance and maybe meet some of the people behind it! In a few years’ time we’ll be able to get from HK to Macau via a very long bridge – I wonder what that would mean for the ferries! What a treat James! 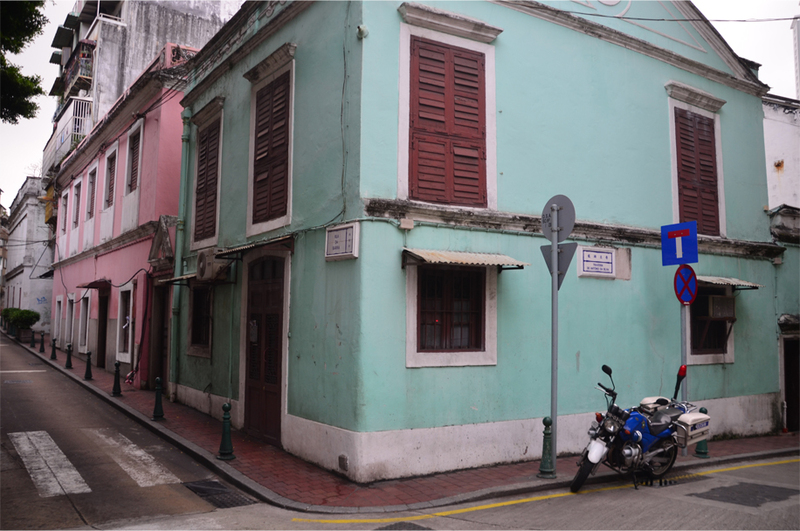 Sad that so many of the old buildings have gone – and terrible about the slow death of Patua, but you know, food remains, even as the hybrid language fades – and what a celebration of Macau’s multi-ethnic melting pot the food seems to be! 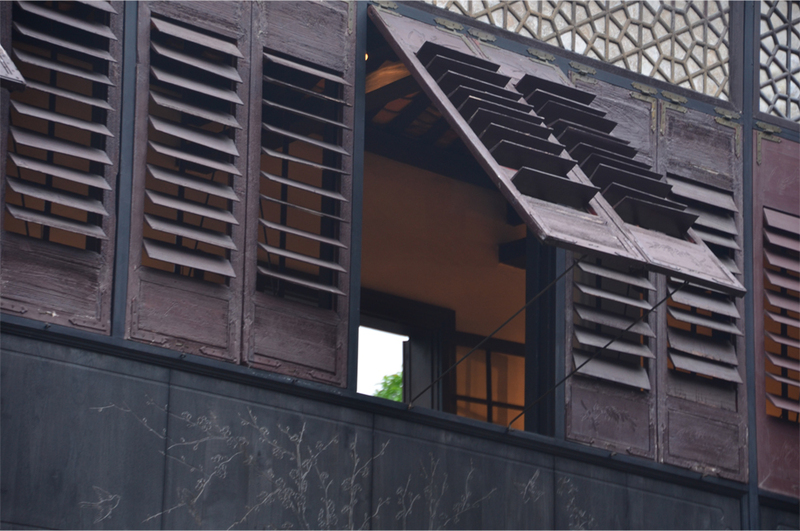 Of all your terrific photos, it’s those versatile shutter windows I love, a perfect fusion of the traditions of ‘home’ with the needs of their tropical surroundings. Considering that most of Macau’s population never spoke Portuguese (which stumps me as it was a colony for so long), perhaps Patuá was always going to face an uphill battle for survival. You’re spot on about the food; it brings together some of the best traits of so many culinary traditions. Hearty, baked goodness from Iberia, subtle herb mixes from China, curries and spices from Southeast Asia, Sri Lanka and India… the list goes on. Re the speaking of Portuguese, James, I guess the ‘native’ population didn’t want to, or perhaps more to the point, the Portuguese held themselves aloof from the local population. But it’s great about the food! The FOOD! The HISTORY!! 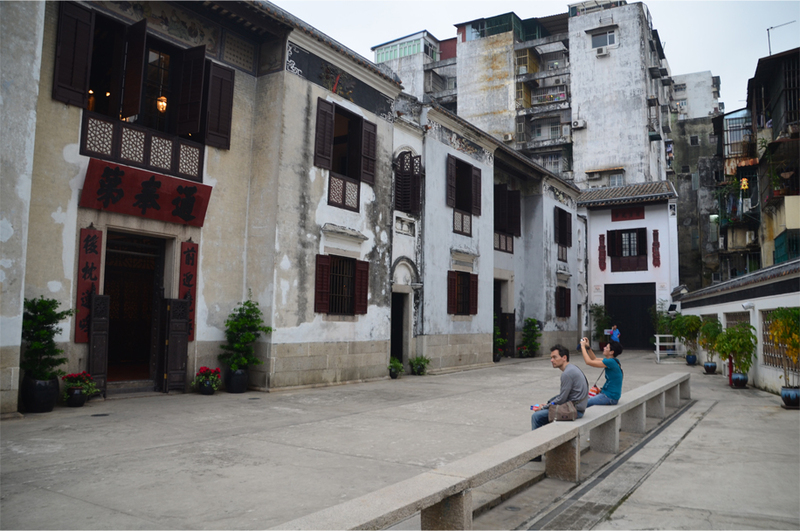 I absolutely loved Macau when I went there. It was so interesting. However, with it being so packed and crowded and my severe lack of reading/speaking any Chinese, I never really knew where to eat, etc. Thank you, Federico! I still have so many stories from other places that haven’t been posted just yet… it’s always hard to keep up-to-date!